begin quoteOne of the reasons why I choose USD over other Southern Californian schools is because of its entrepreneurial roots demonstrated by the lifestyle brands that were developed by USD entrepreneurs such as Suja, Tower and Bon Affair. 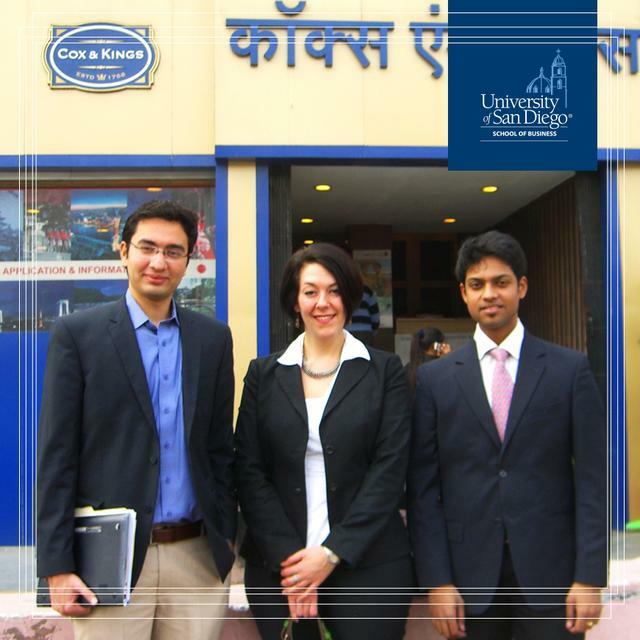 How has your MBA experience and resources at USD helped you in the development of your venture? While I have encountered many challenges in trying to start a company, the most critical aspect has been in trying to navigate numerous operational necessities ranging from sourcing and logistics, to accounting and operations. 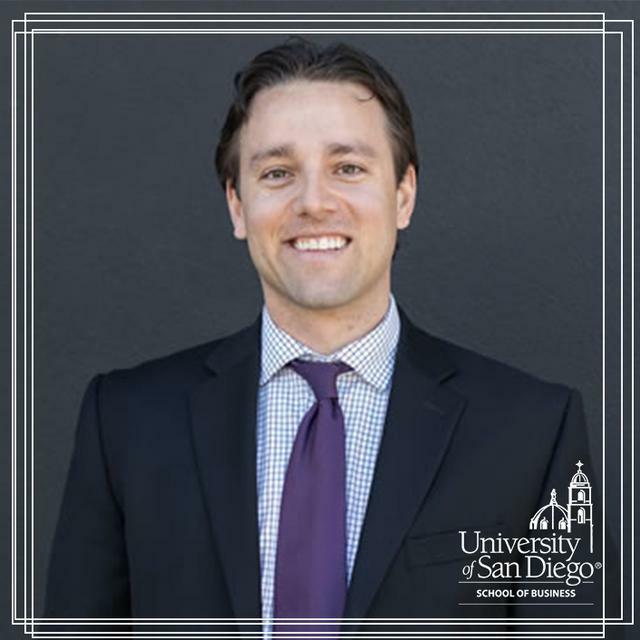 Fortunately, both my MBA connections and the USD resources and community have already proven beneficial in helping me find answers to these operation and logistics conundrums. I have been able to share ideas with my cohort, some of whom are entrepreneurs themselves; I have leverage the USD Legal Clinic for legal consultation; and I have already applied concepts learned in my graduate education directly towards my company Alexandrine & Cass. One of the reasons why I choose USD over other Southern Californian schools is because of its entrepreneurial roots demonstrated by the lifestyle brands that were developed by USD entrepreneurs such as Suja, Tower and Bon Affair. Why did you decide to come back for your MBA as a future entrepreneur? My passion for business began at an early age. Between operating lemonade stands in the summers as a kid to being in a stock market club after school, I quickly developed an interest in business. Companies today not only have the ability to impact their local communities but to also reach a global audience – this drives me. 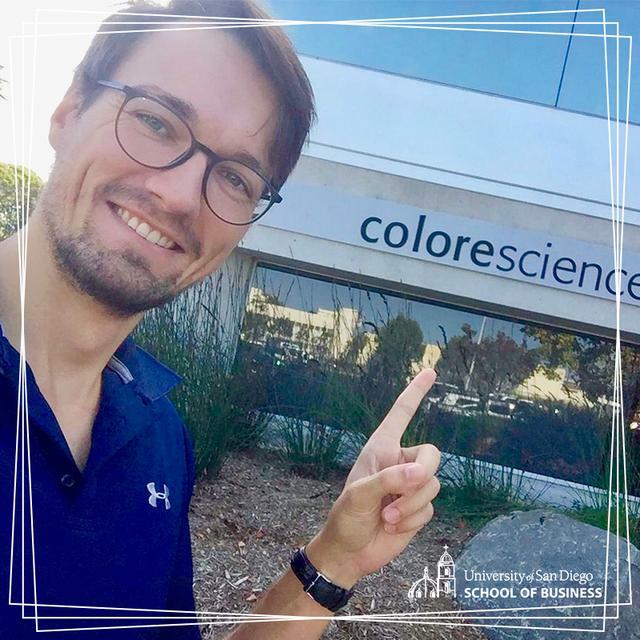 I decided to pursue my MBA because I wanted to enhance my business acumen, establish myself in Southern California, network and use this experience as an incubator for Alexandrine & Cass. Tell us more about your company Alexandrine & Cass and why your product is so unique? Alexandrine & Cass is a product design company whose goal is to provide modern design applications towards traditional products found in the kitchen and home. 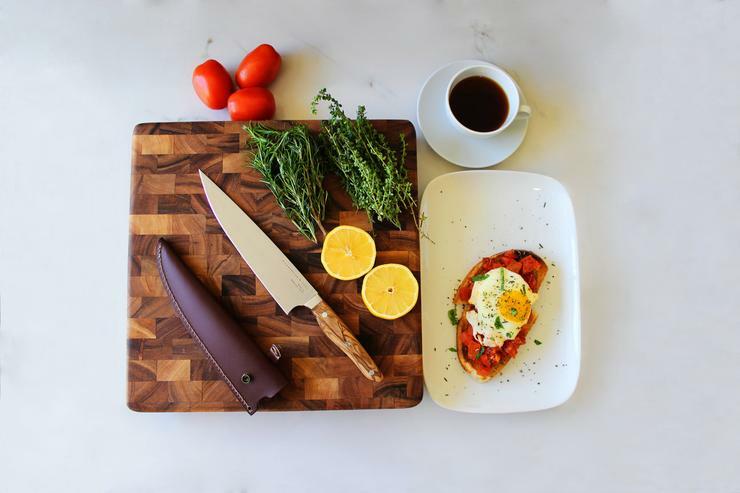 Our launch product, an 8” Chef’s Knife, was designed in Detroit and made in Spain. Our knife uses Spanish MoVa steel, real olive wood and can be ordered with a Spanish leather sheath specifically designed to protect the blade. My background is in Finance and Accounting tailored towards operations and manufacturing. Harrison’s background includes branding, product development and marketing. Combined, our experiences offer unique skill sets, which have proved beneficial while beginning this venture. Alexandrine & Cass’s purpose is not just to provide our customers great products, but also to positively impact our communities. This is why we are excited to announce our first partnership with Gleaners Food Bank in Detroit, an organization that supports children and families in need. As we expand our product portfolio, we will continue to partner with other organizations that we believe positively impact our communities. What moves you and ignites your entrepreneurial passion? While I have been fortunate to achieve all the career and educational success that I have, few of them have come without sacrifices and hard work. I’ve never been the smartest person in the room but I like to believe that I have consistently been one of the hardest working. This hard work, which I’d like to refer to as ‘grind’, has been one of the motivations behind wanting to start this venture. I want to prove that I can successfully build a brand that positively impacts both our customers and our communities. Tell us how the Torero Community can support you? Our Kickstarter campaign, is live right now! We are currently the most popular Kickstarter in Detroit, the top 50 most popular Product Design campaign in the US and the top 75 most popular Product Design campaign in the world. Any support through the Torero Community would be great! Please visit our Kickstarter page linked below and feel free to share this with anyone in your family/friends who may be interested.